Earlier, Senior Congress leader Ghulam Nabi Azad had put up a proposal that the new party chief selects his own team of the working committee. 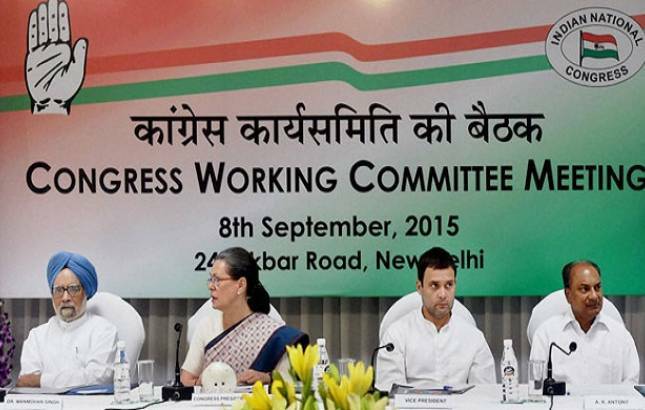 The Congress passed a united resolution at its plenary session on Sunday in New Delhi. The unanimous resolution authorizes party President Rahul Gandhi to select members of the new working committee. The working committee is the highest decision-making body of the party. Earlier, Senior Congress leader Ghulam Nabi Azad had put up a proposal that the new party chief selects his own team of the working committee. Azad had asked every fellow member whether there should be an election for the working committee, but it was uniformly rejected by them. The Congress working committee will be set up by the Congress president in place of the steering committee, which was formed after he dissolved the working committee. The new working committee will be established by the Congress president after the plenary session.